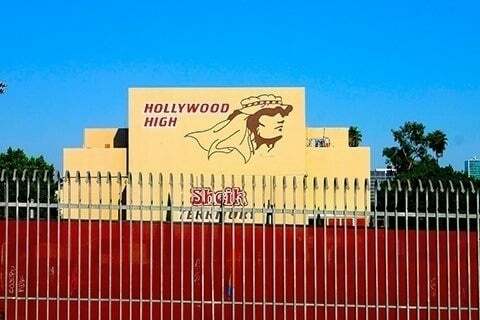 Located in Hollywood, Los Angeles, CA, the public school would offer four academies including: Teaching Career Academy, Performing Arts Magnet, New Media Technology, and School for Advanced Studies. The school was a filming location for 2001's Made, 2007's Nancy Drew and the video game Tony Hawk's American Wasteland. Eloy Torrez painted a mural of 13 famous entertainers called Portrait of Hollywood across the east wall of the school's auditorium.